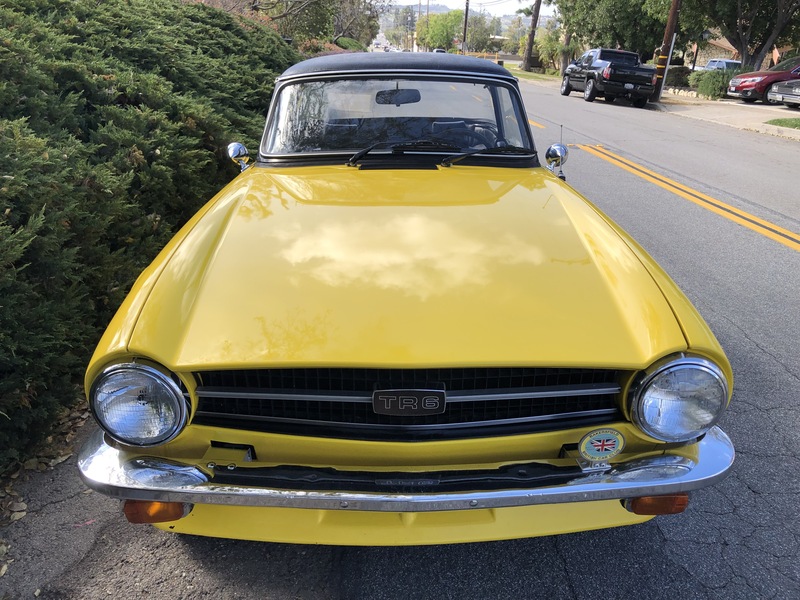 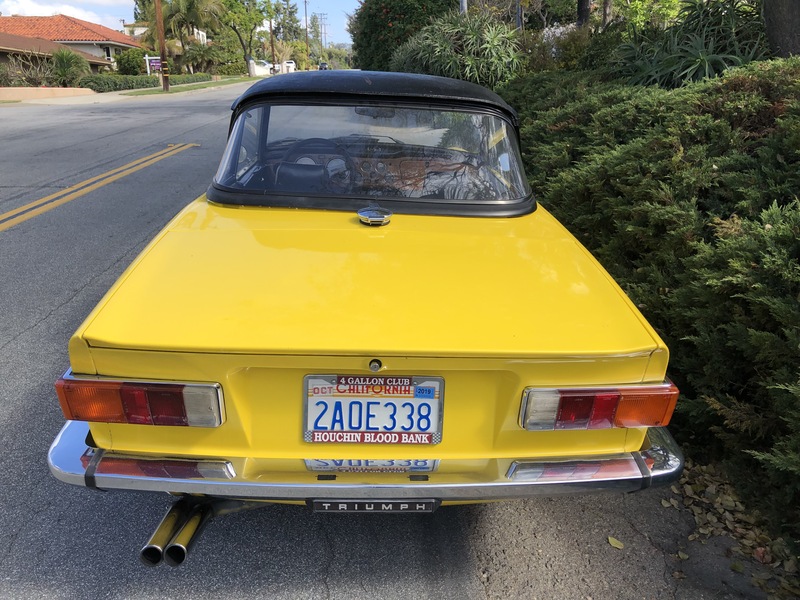 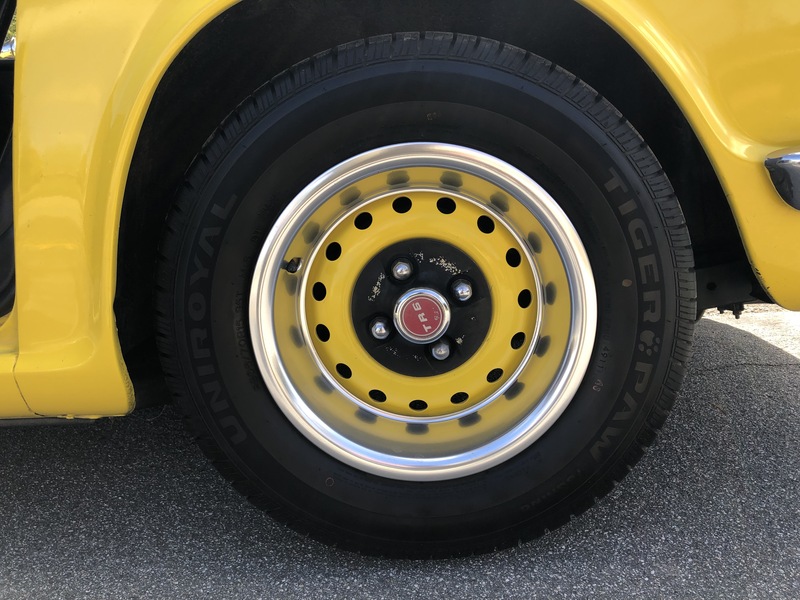 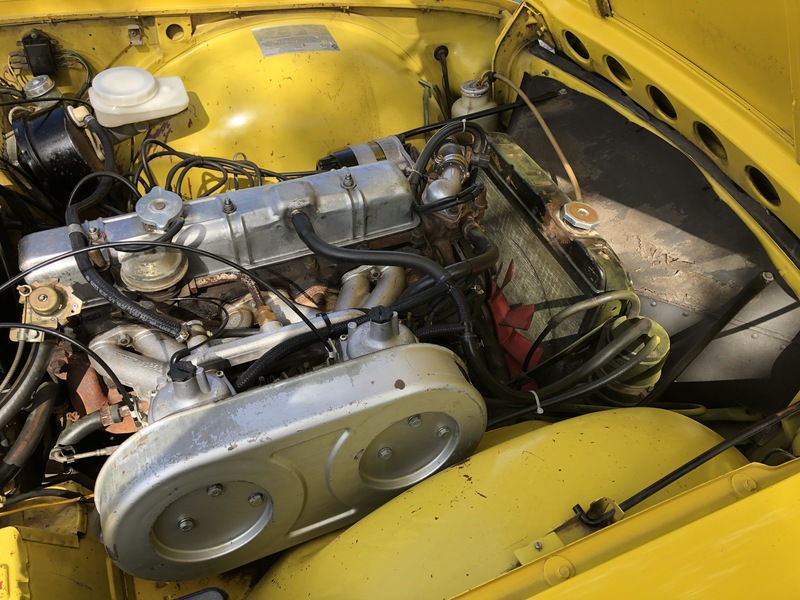 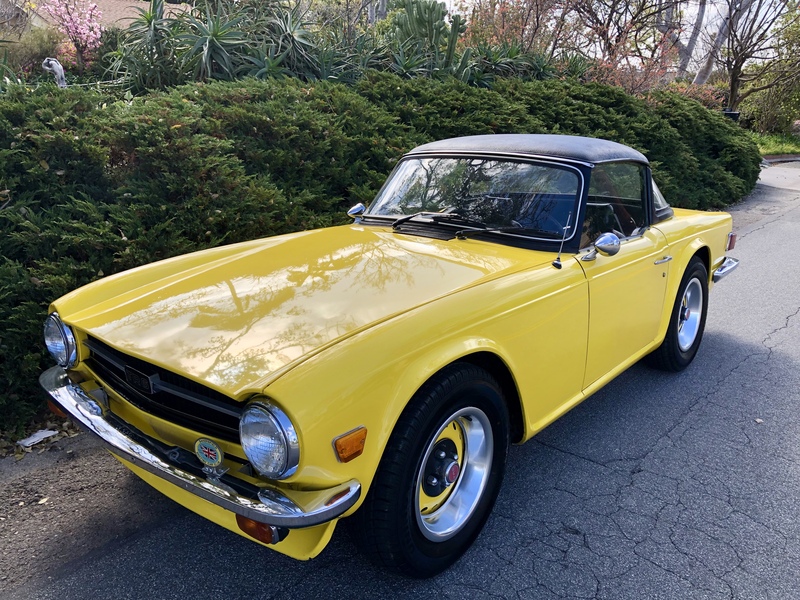 1974 TR6, from second owner, a 68 year old lady had it for 25 years, in Bakersfield, it is a California car, no rust, well maintained, and drives excellent !!! 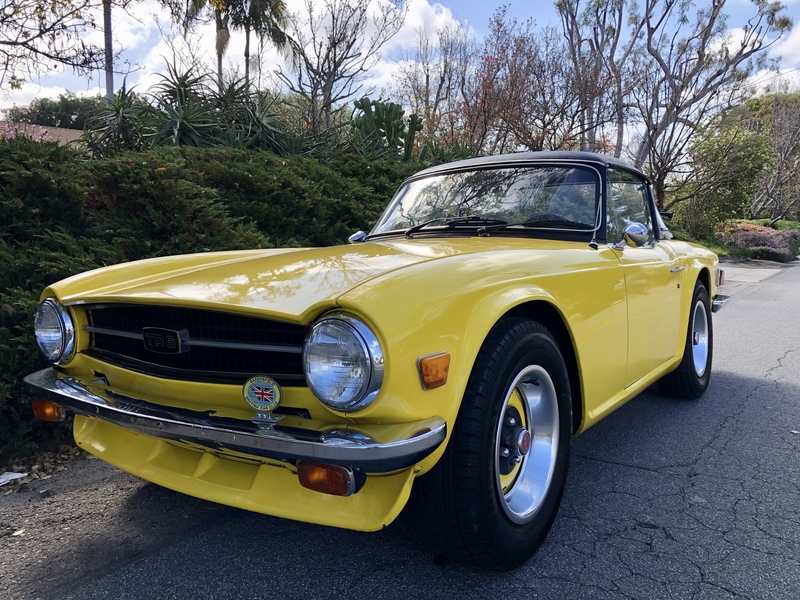 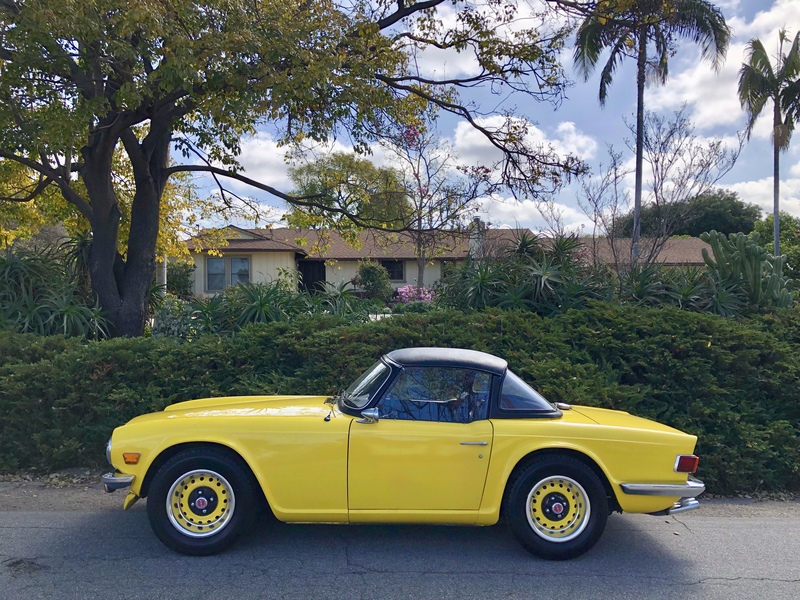 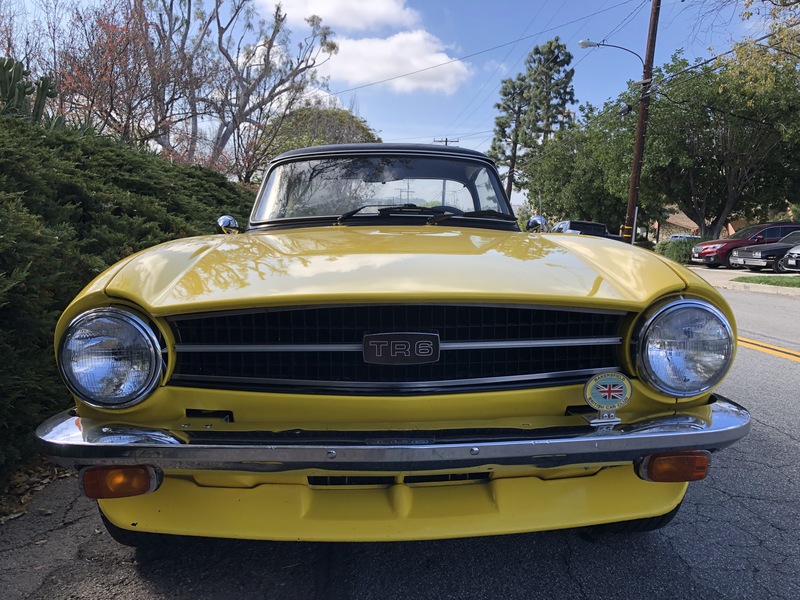 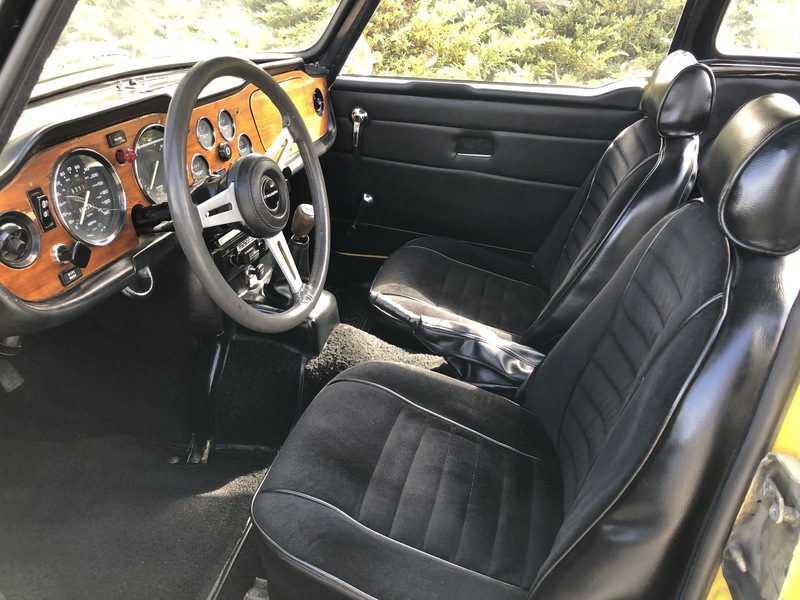 1974 TR6, from second owner, a 68 year old lady had it for 25 years, in Bakersfield, it is a California car, no rust, well maintained, and drives excellent !! 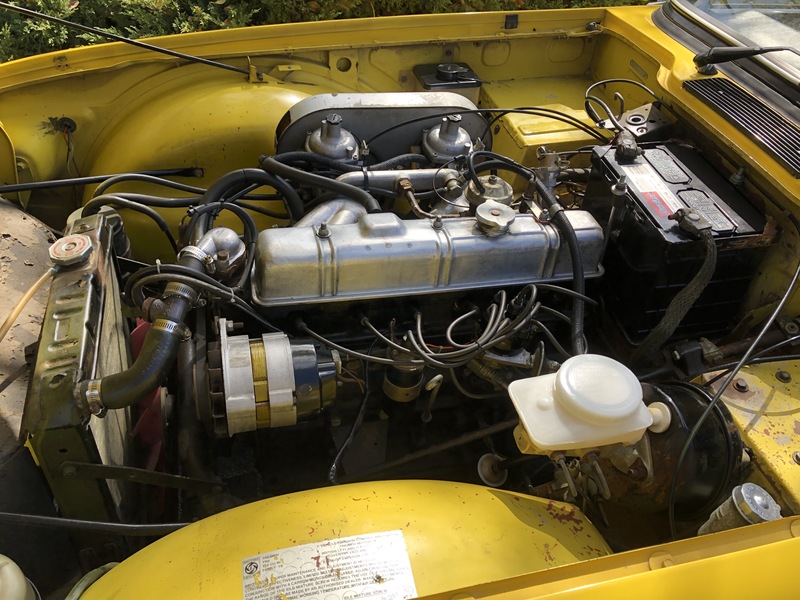 !, 80 LB oil pressure, good steering and brakes, and lots of power, its very fast !! 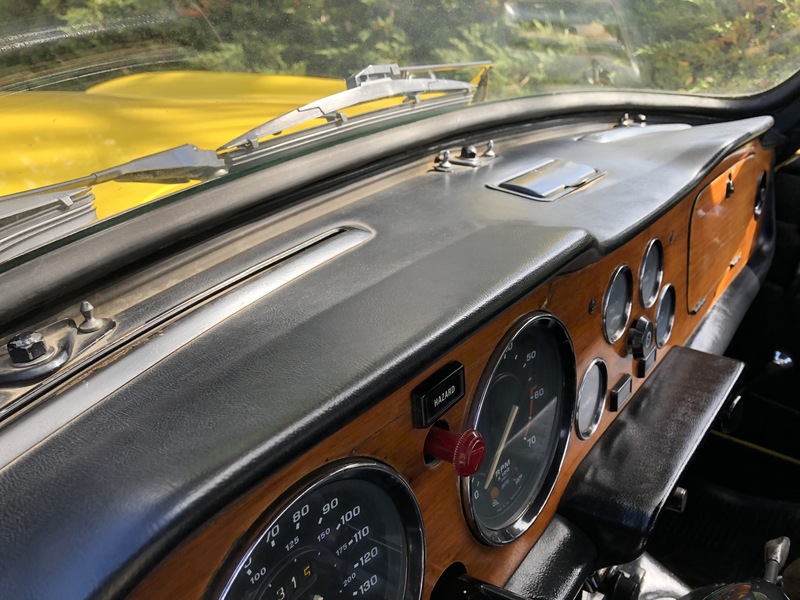 ,a great driver, it has the very rare removable Surrey top, like a Porsche Targa , detailed it today, the paint and interior, and wooden dash is very nice, and the car sits very well in the rear, it comes with Triumph workshop manual , and Triumph books, This car is ready to drive, there is no rust, and no accidents, nice wood dash.